You'd be hard-pressed to find a more passionate group of folks than competition shooters, including our own Neil Hogue, pictured left, captured at a recent shoot. 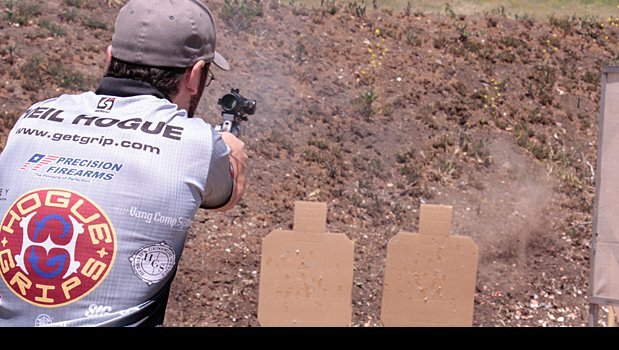 Take a quick tour of Hogue Competition gear by clicking on the pictures below. You'll find holsters, belts and ammo holders designed for fierce competition by fierce competitors!